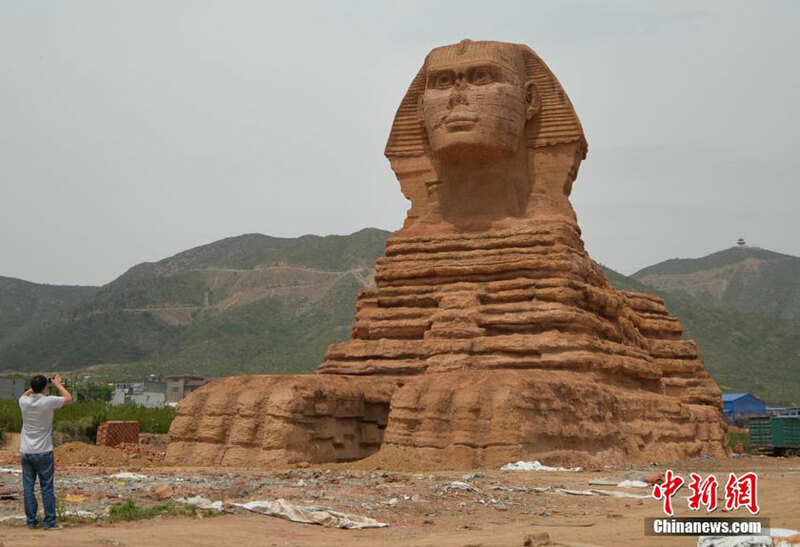 A copy of Egypt's famous sphinx has been made in north China's Hebei province, cnr.cn reported on Monday. The statue, which sits in a village in the provincial capital city of Shijiazhuang, is about 60 meters long and 20 meters high, almost the same measurements as the Great Sphinx of Giza. According to ecns.cn, the structure is made of concrete and its framework reinforced with steel. It is a part of an outdoor filming location, with a Chinese traditional dragon sculpture and some classical buildings nearby.